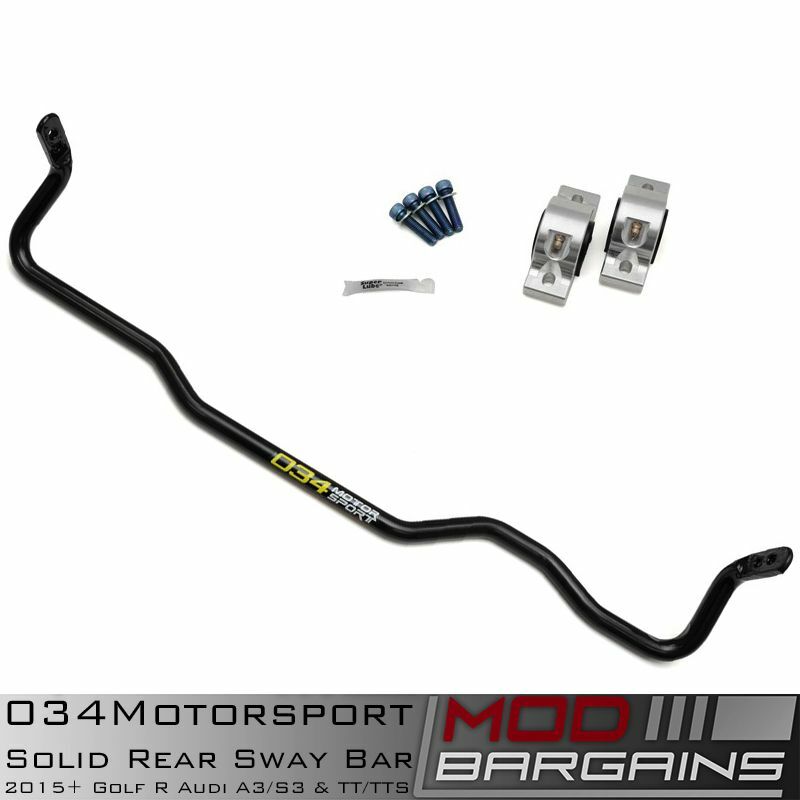 Thoroughly tested both on the street and track by 034Motorsport's developmental S3 vehicle as well as multiple enthusiast owned Audi and VWs, 034Motorsport's 22.2mm Solid rear swaybar is the ultimate upgrade available on the market. 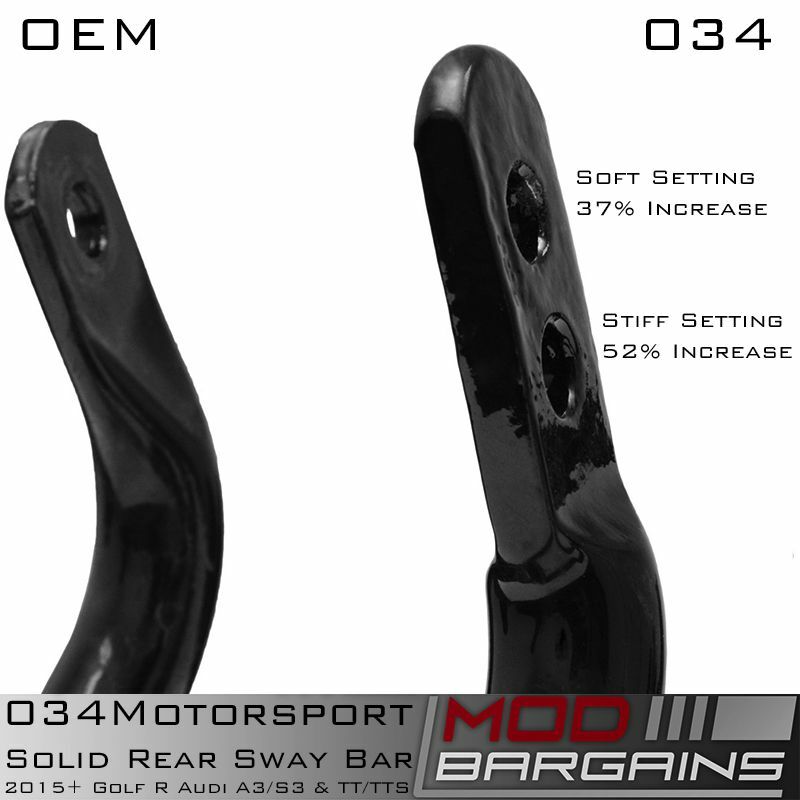 This swaybar uses a solid 22.2mm core as compared to the hollow bar used from factory and gives you the option to choose your level of added stiffness (either 37% or 52% stiffer) This kit is able to reduce both body roll and understeer and truly redefine what your Quattro can do. 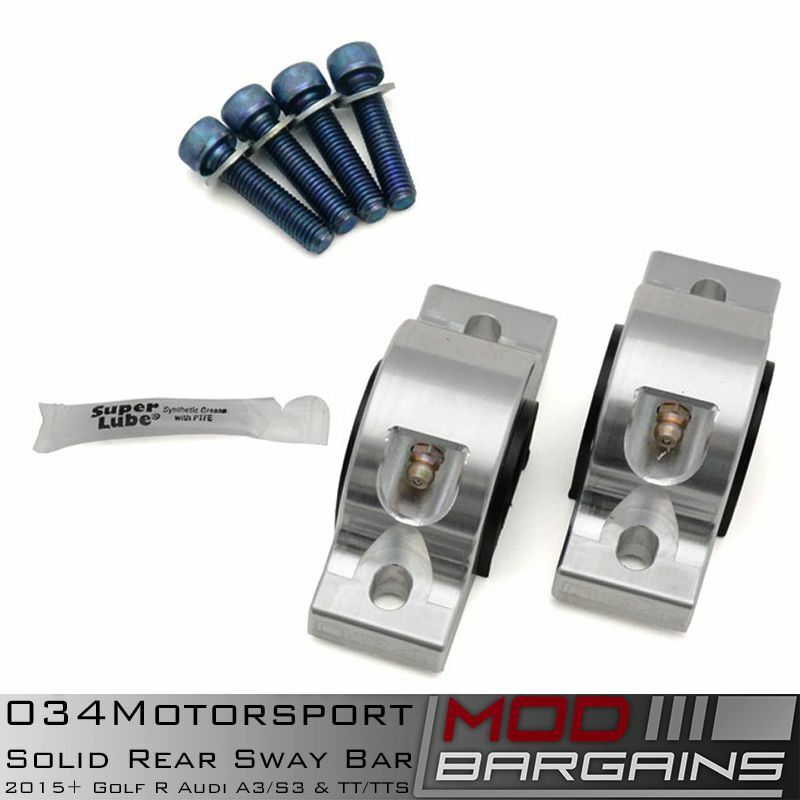 Since sway bars only apply force when cornering, what this means is you get the handling performance boost that stiffer springs would provide, with out compromising drive quality when going over a rough road or bumpy surface. 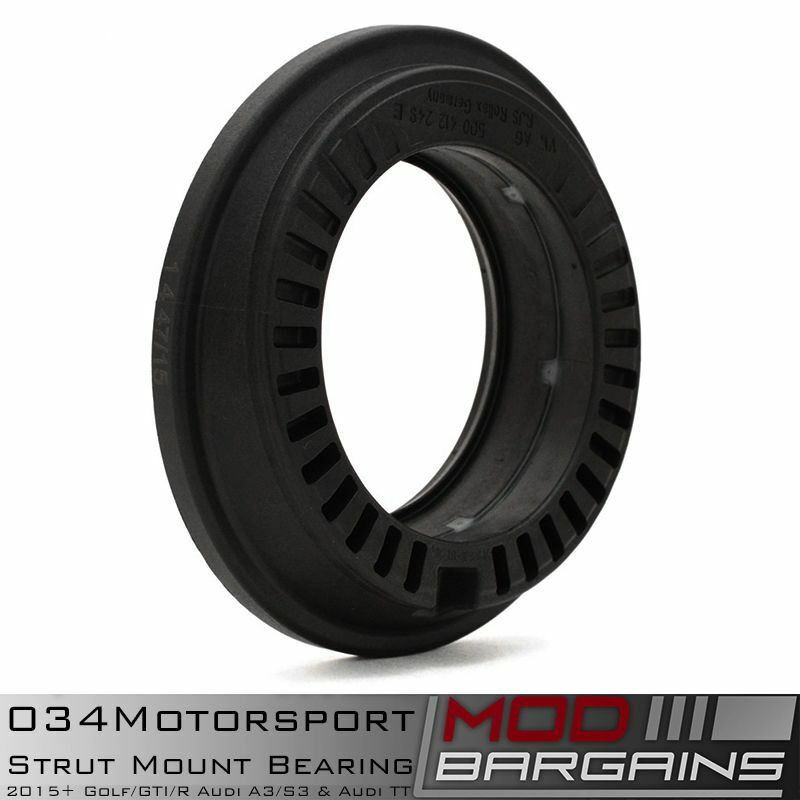 This kit is optimized to work with the factory front swaybar, effectively canceling out the under steer characteristics from factory providing a more neutral handling experience. 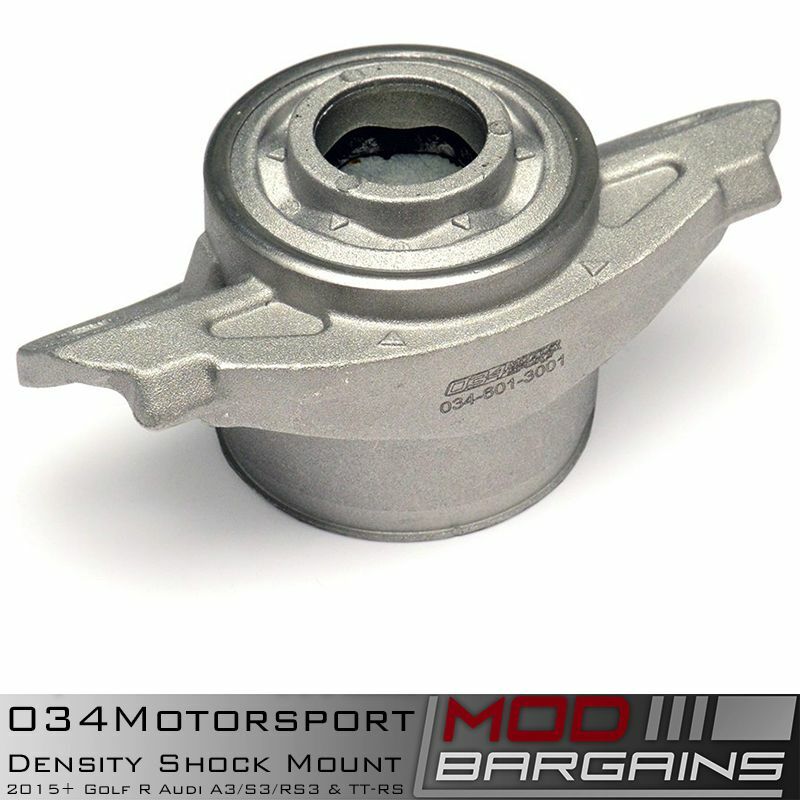 Kit includes all required hardware including the bay itself, poly bushings, Billet brackets with Zerk fittings, and mounting hardware. 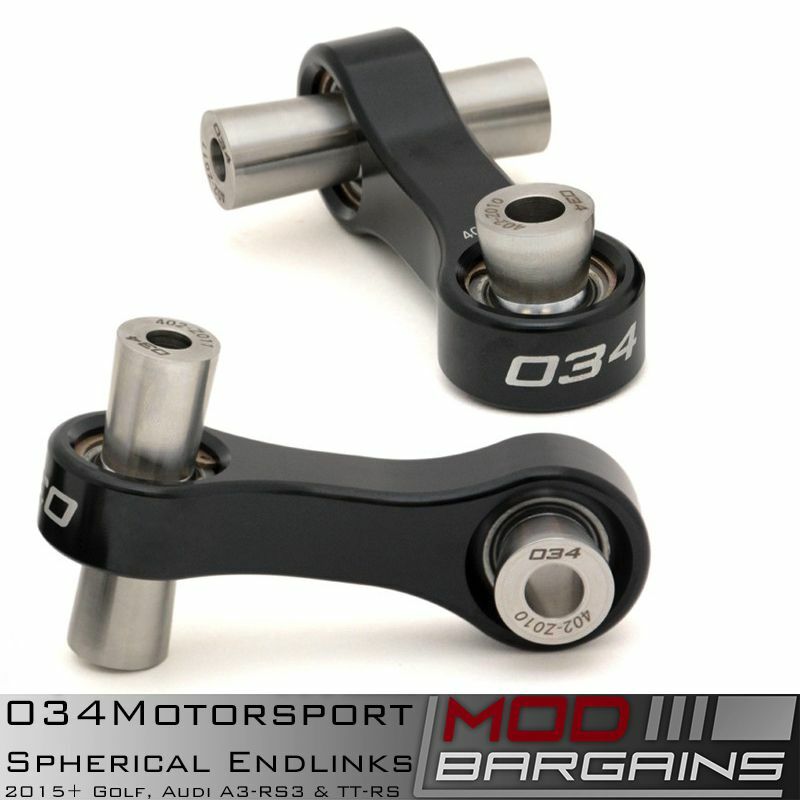 Note: For maximum effectiveness, we recommend replacing the factory swaybar endlinks with 034Motorsport's spherical links.